Big Bark Loading case study on a West-Trak Bulk Bucket. 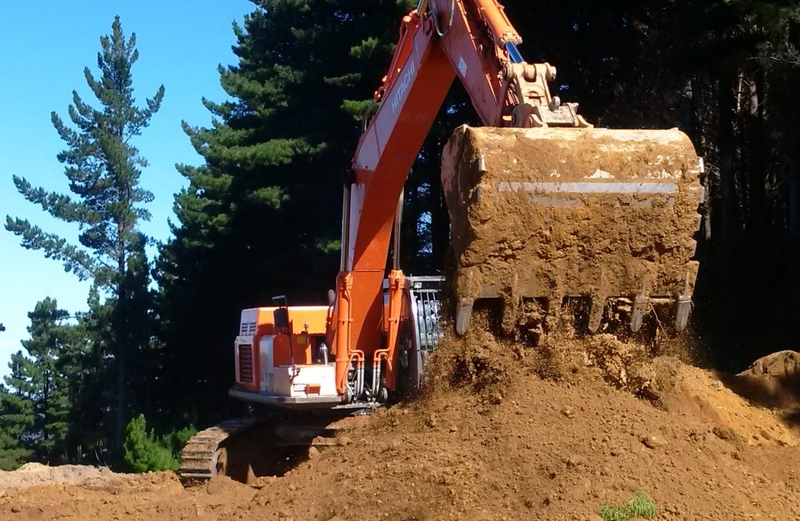 Big Bark Loading (BBL) is a forestry roading and harvesting company based in Gisborne. 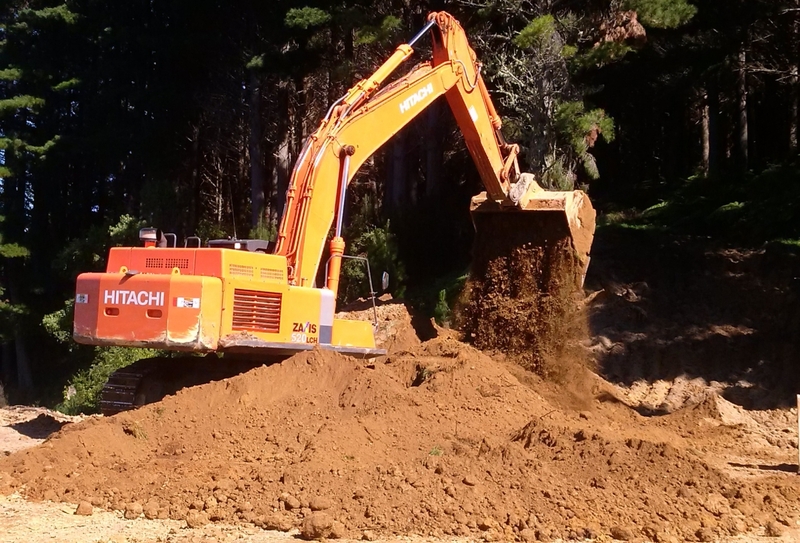 They specialise in carving roads through the forest, forming skid sites and other bulk earthwork projects. Watch the video below of Big Bark Loadings’ ZX520 with a 4 cubic metre, Bulk Handling Bucket, built by West-Trak. 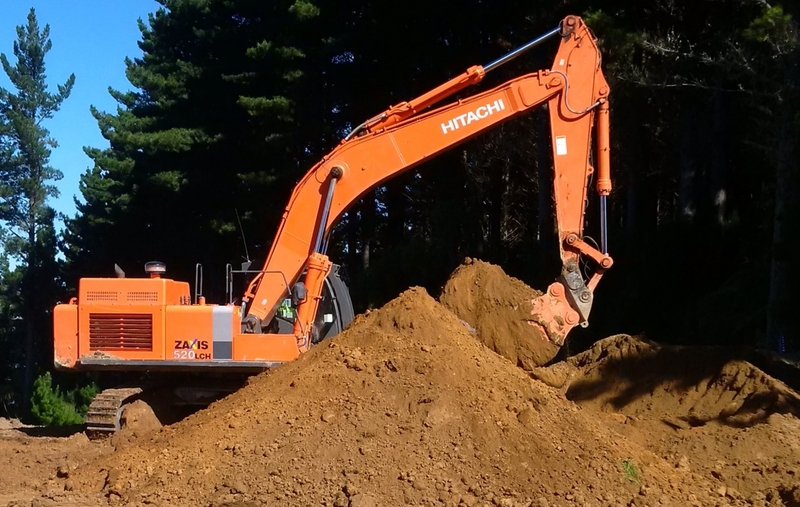 Our customer needed a larger capacity bucket to enhance their forestry roading operation and the result has been outstanding! Big Bark Loading has only used standard buckets on their ZX520 and needed something larger to move more material. 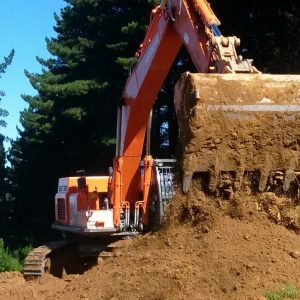 The ground conditions in the Gisborne area varies from soft clay to hard parpa and digging out tree stumps, so it needed to be a strong, high penetration bucket that can be used in multi purpose applications. West-Trak worked with BBL Contractors to design and build a 4 cubic metre, customised bulk bucket that has exceeded their expectations. 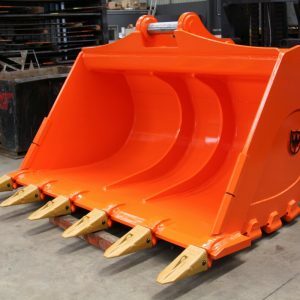 The bucket is built from the highest quality Abrasion resistant steels for maximum strength and durability. 6 Teeth were added to increase bucket penetration, Heel Shrouds, Wear Strips and Side Protectors were fitted for additional wear protection. 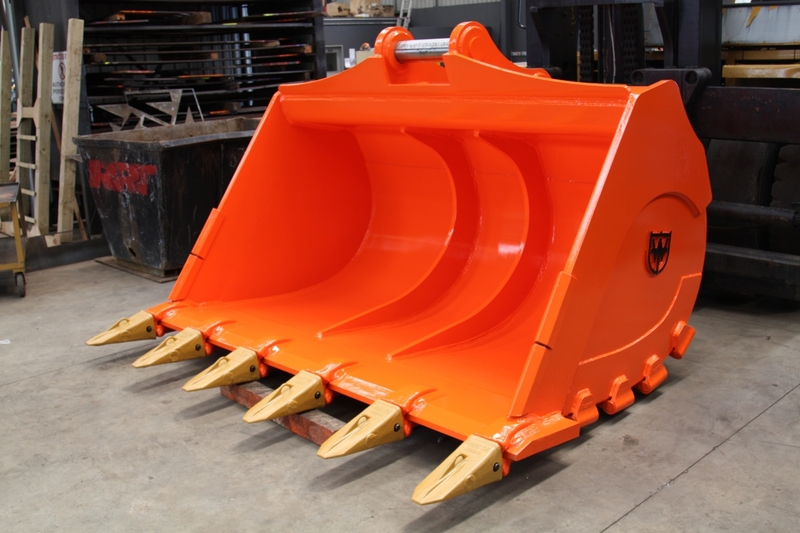 This bucket has been built to survive the toughest NZ conditions! It only takes 2 scoops to fill a moxy dumper in stead of 5-6 with the standard bucket and can load it within 31 seconds! We can do our jobs in half the time – A 5 day job has now become a 3 day job! 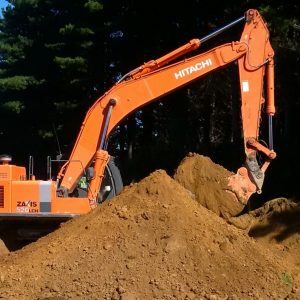 The bucket payback period is going to be less than 6 months! The bucket earned itself the nick name of ‘RYBACK’ after 3 days work on site, due to the amount of material it was moving. RYBACK is a wrestler on TV and his slogan is “Feed me more”. 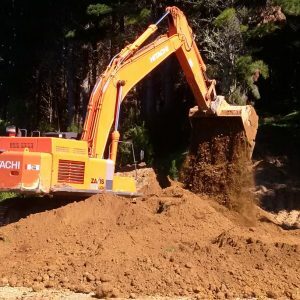 This machine is operated by Brian Deam who is the leading hand for BBL Contractors and has spent his whole life in the earthmoving industry with over 47 years experience on excavators and dozers.